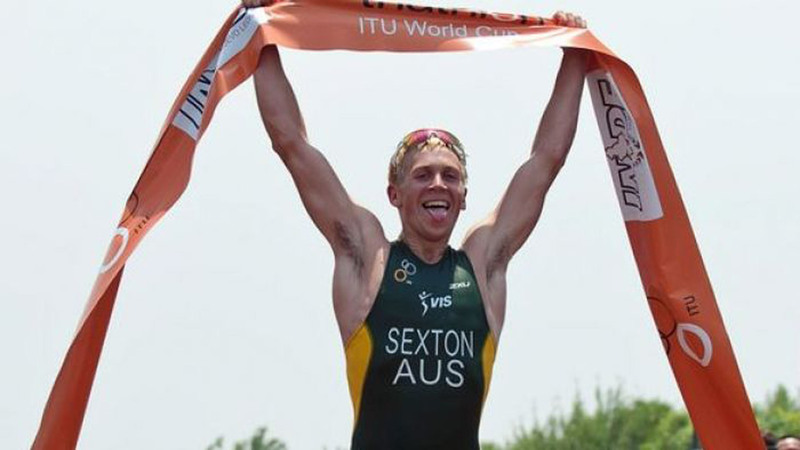 Olympian triathlete Brendan Sexton on sport, injury and his favourite triathlon locations. Diving his time between Vittoria, Spain and Melbourne, Australia, triathlete Brendan Sexton is making a splash in the world of elite sport. Intimated early on by the length of a sprint triathlon, he now follows the international triathlon scene around the world and earned a spot on Australia’s London Olympic team. Here Brendan describes a day in his shoes and what he loves about his job. What memories do you have from your first triathlon? I was most intimidated by the distance. I was 15 years old and had not done an endurance event over that distance (400m swim /16km bike ride /4km run). I remember feeling like I wouldn’t make it across the finish line, which of course I did! What did you enjoy most about competing at the London Olympics? I had trained for over four years to race at the London Olympic Games and although daunting, and by far the hardest triathlon I’ve done, the entire experience was amazing. I was competing in the biggest sporting event in the world in front of thousands of people and the atmosphere was electric. The vibe before and during the race was incredibly inspiring - like nothing I’d ever experienced before. As an elite athlete, what have you learnt about health? Health is everything. If your health isn’t 100%, it’s impossible to perform. This doesn’t just apply to sport but everyday life – if you’re not healthy you can’t get 100% out of your life! What products do you use that help you achieve your best race times? To perform I need to have fresh arms and legs when I hit the start line. To ensure my muscles are ready to fire, I wear 2XU Compression garments in the lead up to competition, in training, for recovery and whilst travelling. They help me to recover and get race ready. What is your favourite triathlon location? I compete in a summer sport that takes me to some amazing places around the world but my favourite race is closer to home, in Mooloolaba on the Sunshine Coast. It’s a beautiful location, a great beach swim, tough bike and run, with no shortage of friends and family to support and cheer me on. What leg of the triathlon do you most look forward to? Almost always the run leg. Historically the run has been my strongest leg and traditionally the order of a triathlon puts the run last, so I always win…or at least finish the race running! A typical medium load day would begin with a 7am wake up and straight to the pool for a 4-5km swim session before breakfast. After breaky has settled, I’m out on the bike for a 60-80km ride with some race speed sections. Then I refuel again at lunch and spend some time doing emails, race/travel plans and general administration. If I’m lucky enough to finish the admin work, I’ll sneak in a quick nap to recharge before my third session, a 12-16km run either on the track, in the hills or on the trails. Afterward I put my 2XU compression garments on to recover and do it all over again the following day! How difficult is it handling sporting injuries? Injuries are never easy, and it's always the case that the less training you’re allowed to do, the more you want to do it. Several injuries have kept me from top form for over two years. Nursing the initial injury to avoid it becoming worse, the treatment and the rehab are all physically and mentally draining, but the most difficult part is the time it takes to get back to full fitness. You need faith that the injury will heal adequately and return you to your full form. Patience is key.